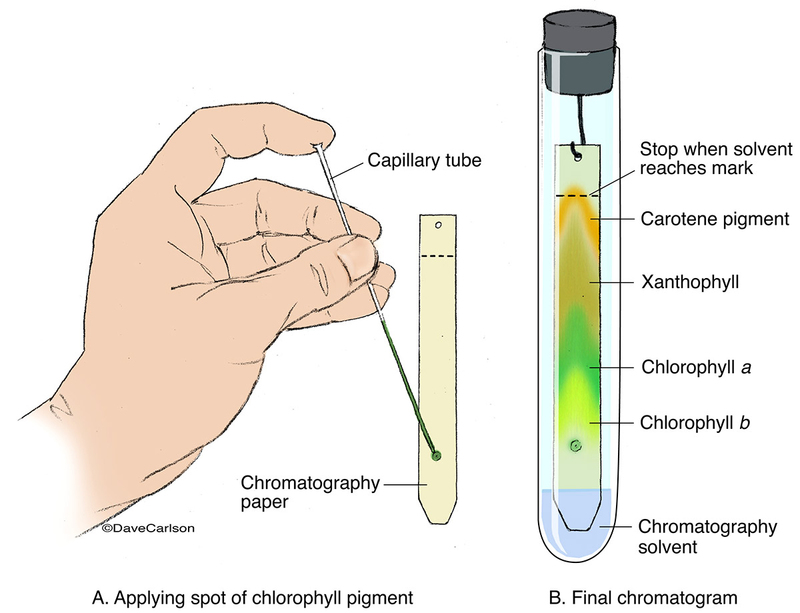 Chromatography is used to separate mixtures of substances into their components. Old style paper chromatography is primarily used today as a teaching tool. Image © copyright by Dave Carlson.